As early as 12 years old Tamara knew she was destined to create and market her own jewelry when she began selling her designs in the junior high school bookstore, donating the proceeds to Art Club. Fast forward to 2010 Tamara opened Talulah’s Fancy and Friends, an American Made gift boutique in her hometown of Honeoye Falls. An unique little shop with big pops of whimsy, Tamara sourced some of the nations best handmade artists and showcased an array of very sweet one-of-a-kind gifts, clothing, jewelry and more. After 6 years of juggling her studio work with the demands of a brick and mortar store on her own Tamara followed her true passion for creating. 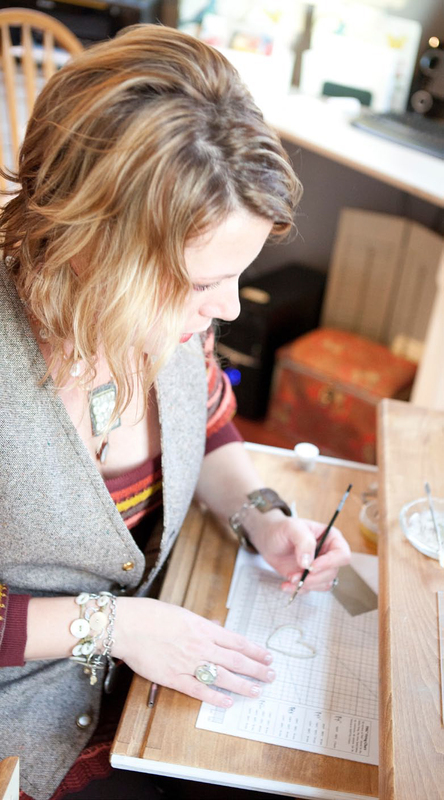 Now working full time in her home studio Tamara is living her dream and designing full time. Talulah's Fancy designs are now available at select boutiques, here on-line, as well as local pop-events and trunk-shows...you can even book one of your own. Artist -designer Tamara Stopinski a.k.a. 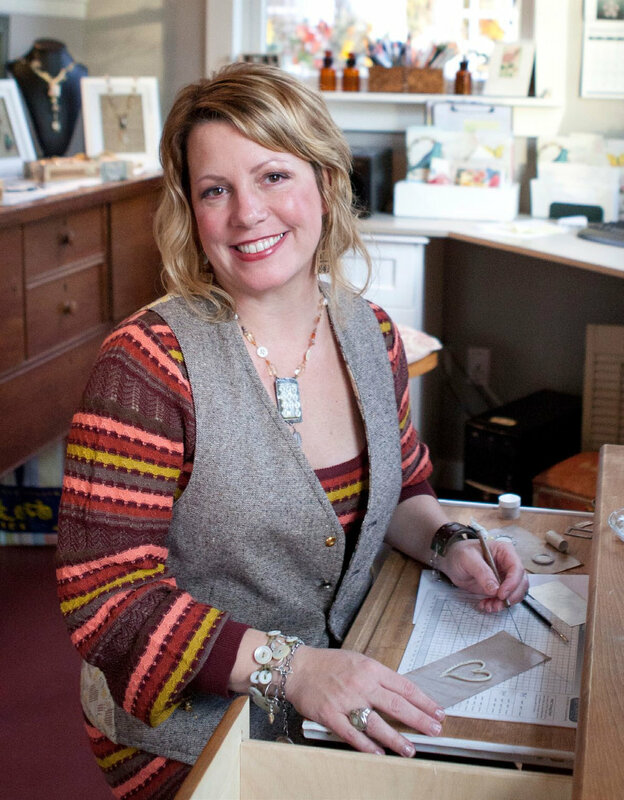 “Talulah” has been designing jewelry for more than 30 years. Her passion for creating took her from pottery studio assistant and lead her to a career artist working in a variety of mediums. In 1998 with a nickname and a dream, Tamara nurtured into fruition and launched "Talulah’s Fancy", an original collection of women’s jewelry, clothing and accessories. An appreciation of nature and nostalgia is what inspires her to incorporate the very basic components of lost and found -recycled elements with semi-precious stones, base and fine metals as well a variety of textiles creating many layers to the designs that represent Talulah’s Fancy. Primarily a self taught artist Tamara has taken workshops with some of the industry's leading educators. Inspired by Celie Fago, Richard Sally, Stephanie Lee, Susan Lenart Kazmer, Robert Dancik Tamara is dedicated to her own aesthetic and keeping with her own original one-of-a-kind style. Always passionate about giving back, Tamara continues to support the fundraising efforts of local organizations such as Veterans support groups, Hospice Homes, Wellness Shelters, Big Brothers-Big Sisters, The Seneca Park Zoo, as well as World Disaster Relief Organizations. “the ability to offer help and support to someone in need is invaluable gift ". Longtime resident of the Finger Lakes Region of New York, Tamara feels both blessed and inspired by the beauty that surrounds her. She with her husband Jimmy and 2 cats Bogie and Sweetpea, reside along Spring Creek in Honeoye Falls, NY where they are surrounded by and abundance of wildlife, beautiful gardens and farmland.